We look at the table as both teams have played two matches, Tottenham are seventh on the table with four points from two games, winning one and drawing one. On the other hand we have Liverpool who are 11th on the table with three points as they won one and lost one. Liverpool started off well in the league but they did not perform well on the 2d matchday. Now the teams go into the third matchday and they need to get their heads straight if they want to gain these important early points. 27th August, 2016 at 17:00 (IST). Tottenham had a very good second matchday as they registered their first win in the new season. They drew their first game in the league against Everton on the opening matchday but were able to win against Crystal palace. They played against Crystal Palace in the second match day and it was their first home game of the season. They were able to beat Crystal palace by 1-0 as Harry Kane scored the winning goal late in the second half. The game was a bit slow in the starting but Tottenham tried again and again and finally they scored the goal. They had 20 shots on the goal and only five were on target, they had 56% possession and dominated most of the match. Liverpool played one of the best first game of the season against Arsenal as they beat them at the Emirates Stadium by 3-4. Then on the second matchday they played against Burnley and lost the game by 2-0. 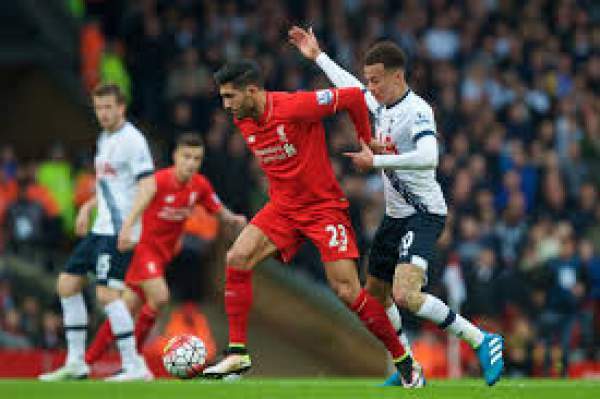 The game was mainly dominated by Liverpool but they were not able to find that decisive touch. Liverpool had 80% possession, had 26 shots on goal out of which five were on target. Burnley had only 20% possession and only three shots out of which two were on target. Same Vokes scored the first goal of the game in the 2nd minute and after that Andre Gray made it 2-0 in the 37th minute. Mignolet, Klavan, Lovren, Clyne, Milner, Lallana, Wijnaldum, Henderson, Sturridge, Coutinho, Firmino. Vorm, Alderweireld, Walker, Rose, Vertonhgen, Wanyama, Lamela, Kane, Eriksen, Dier.